Just like Windows, Mac and other software upgrades; cryptocurrencies also undergo a series of updates. Bitcoin updates its protocol, Ethereum regularly forks, Litecoin, Dash and every other blockchain projects update their network frequently. All these hard forks and updates are very much essential as it improves overall security, network efficiency and additionally brings in some protocol changes. Monero (XMR) – A decentralized, private, secure and untraceable cryptocurrency has scheduled protocol upgrades every 6 months. Each update improves network security, speed and it includes new functionalities, Proof of Work algorithm tweaks and a large number of bug fixes. As an investor and avid follower of Monero you might be familiar about these scheduled upgrades. Before this event occurs you need to upgrade your Monero software to the latest version. 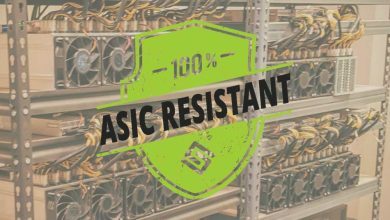 You need to update your wallets and If you are mining XMR then you also need to update your mining software. Here in this beginners guide we’ll show to how to update Monero wallet. But before that lets first see where and how to get notified on these upgrades so that you can be prepared in the future. When does Monero upgrades its network (hard fork)? First of all you must note that these hard forks does not affect your wallet address or balance in any way. You can update your wallet software even after the fork occurs. But it is essential that you update before. So now where to get information regarding these software updates and where to find the latest version Monero wallet? The best way to stay informed about any project is by following the development team and the community. Monero project has a great community and for official information and discussion about the events you can follow Monero twitter account and Monero subreddit. In addition to this you can also check the official getmonero blog. The Monero development team will usually announce the block height and the date at which the upgrade will take place. Also the team will release the source code for new version prior to the network update so that users can have enough time to update their wallet software. According to their recent blog post there is a major network upgrade on October 18th. The release version is Monero 0.13.0 “Beryllium Bullet”. This version updates PoW algorithm to CryptoNight V2, reduce transaction sizes, sets ringsize globally to 11 and there is a number of major improvements. Check this post for release notes. The binaries for new version has been released already. If you are using Monero wallet version 0.12.0.0 “Lithium Luna” or any other older version then it’s time for you to update your wallet. How to update Monero wallet? Previously we’ve explained about wallet update. 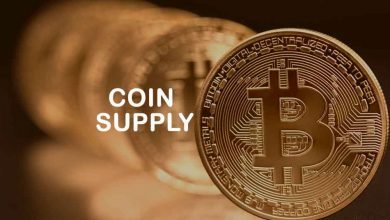 The guide is for Bitcoin core wallet and it applies to Litecoin, Dash, Dogecoin, Verge and most other cryptocurrencies that are based on Bitcoin. But not Monero. Monero is based on CryptoNote technology and the following wallet update guide not only applies to Monero. It also applies to Aeon, Bytecoin, BitTube, Dero, Electroneum , Graft, Haven, Karbo, Masari, MoneroV, Loki, Sumokoin, Stellite and all other CryptoNote based cryptocurrencies. There are different type of Monero wallet and all wallets needs to be updated before the network does. 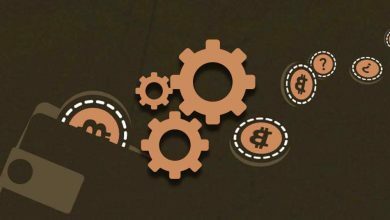 GUI and CLI are easy to use and is the most reliable wallet which many users prefer. In addition to this there are web wallets (MyMonero), hardware wallet and several third party android and IOS wallets. If you are using any of these then you don’t have to worry about the updates as the service provide will take care of that. But if you are running a full node (GUI or CLI wallet) then you need to update your software to the latest version. Whether you are using wallet in Windows, Mac or Linux; you can download the new binaries for GUI and CLI from the following location. Now before downloading check the current wallet version that you are using. If you are on the latest version already then you don’t have to update. How to check Monero wallet version? To check the wallet version follow the steps below. GUI wallet: Open GUI wallet, go to settings tab and scroll to the bottom. It will display your GUI wallet version. 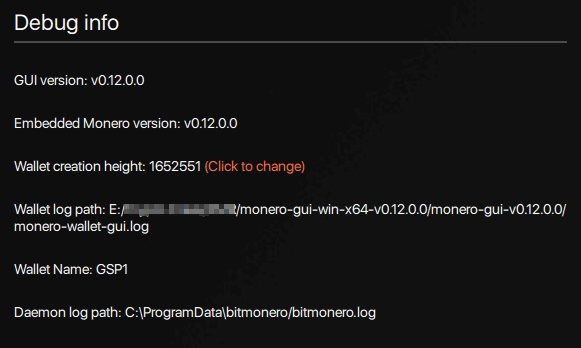 CLI wallet: In CLI wallet just open monero-wallet-cli.exe and it will display this information. Additionally you can type in version which will also display your wallet version. Now before updating your Monero wallet there is one most important step and that is wallet backup. 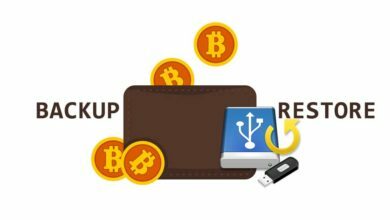 To backup your wallet all you need is your mnemonic seed and if you don’t have this backup key or do not know how to backup then follow this guide. It has step by step instructions on how to safely backup GUI and CLI wallet. Once backup is successful, go the download link, choose the appropriate platform and download the new binaries. Now extract the binaries and overwrite your old wallet files with the new ones. Or you can extract the new wallet files to any directory that you wish. Note: If you extract your CLI wallet to any other directory then you need to copy your wallet files from old directory to the new one. If you extract your new GUI wallet to any directory of your liking then you don’t have to copy any files as the GUI wallet automatically loads your wallet file. Once the extraction is done, run the exe file, choose your wallet file location and enter your password. That’s it! You’re in and your wallet is also updated. The blockchain will start syncing from where you left off in your previous wallet. Note: This guide is not only applicable to v 0.13.0 but also works with any future releases.